The ways people create websites are continually evolving. Earlier, we had to code the entire website from scratch. Then came the website builders into the picture, giving us options to build a website through drag-and-drop tools. Now, they have evolved again with technology, creating readymade websites by asking you a few simple questions regarding the type of website you’re looking to create. 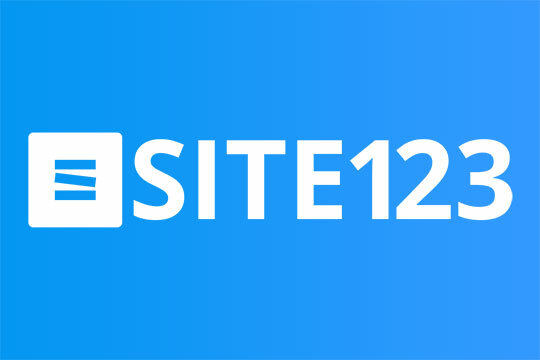 SITE123 is a popular website building platform at the forefront of innovation. It has made it quicker and easier than ever to develop a website. It is designed to help non-tech savvy people get online easily and quickly, and most importantly, free of cost. SITE123 is specially built for small businesses and individuals who need a quick online presence with minimal fuss. It is the most intuitive website builder which offers tools that don’t require any designing or coding experience. 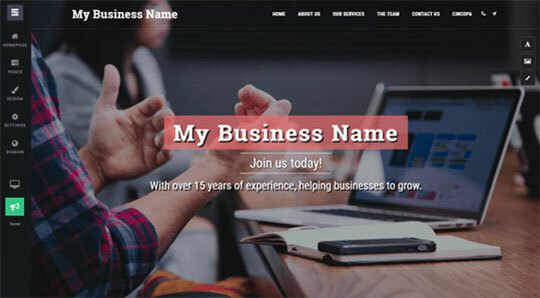 The SITE123 website builder is very easy to use thanks to its user-friendly interface, the advanced wizard, and readymade styles and layouts. These tools help you set up a perfect online presence with little effort. SITE123 website builder works by first asking you a few questions, then producing a template with related features based on the data you provided. Its editor is more efficient than traditional drag-and-drop website builders. Their templates are also well-designed and easy to integrate. You just need to upload your quality content, and the website builder will take care of all the rest, generating a completely responsive website, fully adapted to all types of devices as well as screen resolutions. You can also share your website on social media and increase your online presence. Get your online store up and running in no time with SITE123. You can create a simple and clean-looking business site in 3 easy steps, and start selling right away. Just choose your website type, upload your products, and publish your e-commerce website in less than an hour. You can also optimize SEO for improving your results on search engines and drive traffic to your website. Recommended for you: Divi WordPress Theme Review – A Multipurpose Theme with Visual Page Builder. SITE123 can be used for many purposes, including blogging, personal, business, and e-commerce. It has great, vital features you need to help you create a blog. It is a great option for basic business sites and for those who want to sell a few products online. SITE123’s website builder is SEO-friendly, which means you can optimize SEO so that it can crawl and index your website easily without any coding. The editor of SITE123 is very easy to get as you’re given a balance of freedom and guidance on templates – you need to choose from available designs and styles. Recently, the website builder has added some beautiful and ready-made gradients where you can select a colorful background for your homepage and add more style to your website. It also contains free stock images and videos. The website builder contains many free website templates which have been carefully crafted for different niches. You can simply go to their Template Market and pick a template that best suits your requirement. The best thing here is you don’t need to invest extra! Any website created with SITE123 website builder is fully responsive, which means that no matter which device you’re using, it automatically adjusts and fits your device’s screen size. 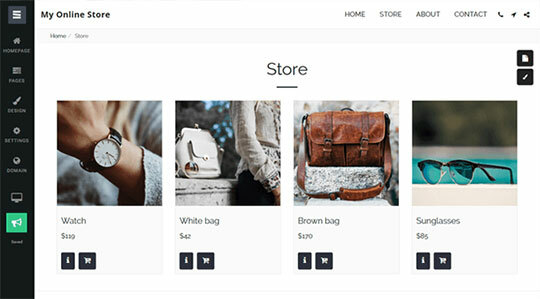 The website builder supports all the basic features of an E-Commerce website, allowing you to create a perfect online store, easily. Whether you want to display your products or create a stunning gallery, the site has an option for everything. Easy to use / User-friendly. 24/7 live chat help & support. Responsive templates for desktop and mobile. Quick uptime and quick load time for users. Simplistic layout – not as much creative freedom. Limited editor tools restrict customization. 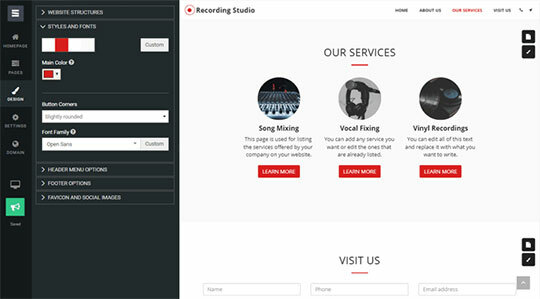 A limited amount of website templates. Templates can’t be changed once the website has been generated. SITE123 offers a free plan for beginners. There are certain limitations of website size with a free plan – 500 MB storage and 1 GB bandwidth per month. However, if you are looking for a serious website, then investing in a premium plan is a smart idea. The higher plan you select, the more storage space and bandwidth will be offered as well as more features, like connecting a custom domain and custom mailboxes. In short, SITE123 website builder is all about simplicity. It is an ideal choice for anyone looking to create an attractive and professional level website. We can say it is one of the best free website builders and we would definitely recommend it to beginners.